Native Instruments Traktor F1 is designed to open up the world of Stems and Remix Decks within Traktor DJ Software. In the format.. Native Instruments Traktor F1 is designed to open up the world of Stems and Remix Decks within Traktor DJ Software. In the format of a tactile, portable USB controller, you can import your own samples, capture loops and sounds live and gain full sonic access to the Remix Desk slots with the F1's four volume faders and four dedicated filter knobs. 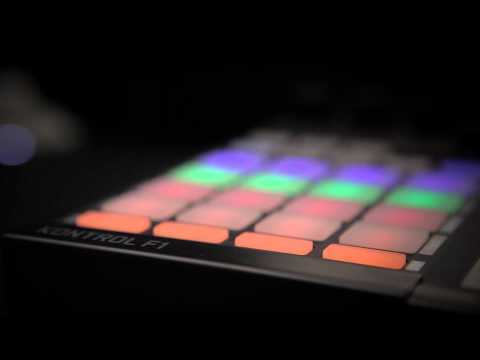 Kontrol F1 includes 4GB of premium grade sound, pre-loaded as remix sets and spans ten music genres including; house, techno, dubstep, hip hop, tech house and Drum N Bass - perfect for studio performance and live sets. Using TRAKTOR KONTROL F1 with TRAKTOR SCRATCH PRO 2, fuse classic DJ workflow with an element of live performance – and mix with your edits on wax at any moment.